2. Choose your bank logo - when is not working, select "Other banks"
3. To pay through Online Banking, select "Pay Now"- it will be faster. 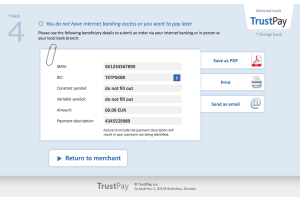 To pay through internet bank transfer "Pay Later". 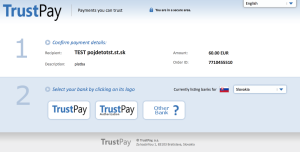 Progress payments that you have already tried to pay, see the section Invoices. Click "Checkout" to get to the summary screen of the shopping cart, where you can change the payment method. Invoice for services in the Market Locator can be downloaded immediately after payment. All your invoices can be found in the "Invoices" in the chute next to the name in the upper right corner.